President Muhammadu Buhari reaffirmed Monday in Abuja that his administration will give full regard to due process and the rule of law in the prosecution of its war against corruption. Speaking at an audience with a delegation from the Foursquare Gospel Church, President Buhari restated his commitment to recovering stolen funds, but stressed that the present administration’s efforts in this regard will be fully within the ambit of the law. “Under military rule, people could be arrested and held on the basis of suspicion, but in a true democracy, anyone accused of an offense must be presumed innocent till pronounced guilty by a court of law,” the President noted. President Buhari said that his administration was therefore diligently building up its case against those accused of stealing government funds, getting necessary evidence and facts, before formal charges are brought against them. 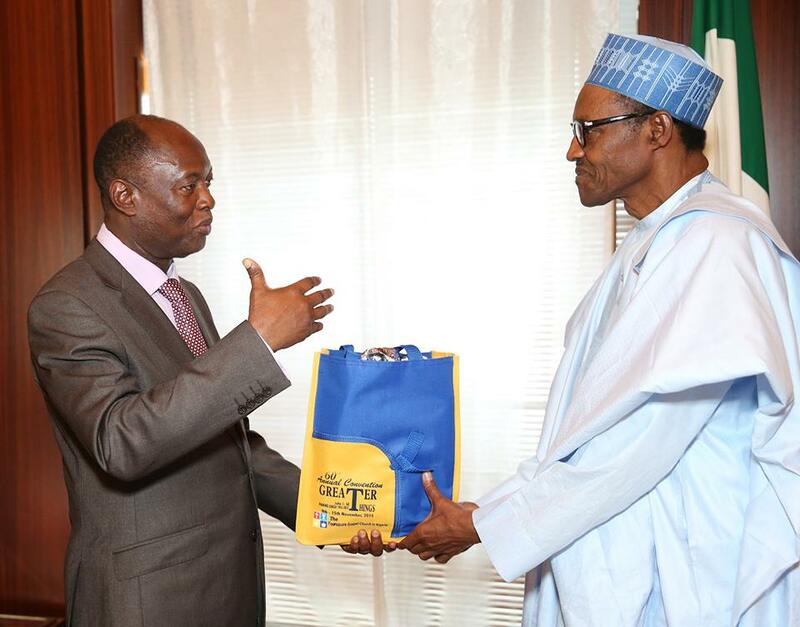 He congratulated the Foursquare Church in Nigeria on its 60th anniversary convention which was concluded on Sunday. In his remarks, the General Overseer of the Foursquare Gospel Church, Rev Felix Meduoye lauded the Buhari administration for its positive strides in the war against corruption and insurgency. He said that the church will continue to pray for the peace and prosperity of Nigeria.